Cosmetic tattooing, is also referred to as semi-permanent makeup or micro-pigmentation. This implanting process of color pigment beneath the surface of the skin by means of tiny, sterile, disposable needles to construct the appearance of hair strokes only to enhance the natural countenance of the face. It is a great additional skill set to a certified or Licensed Tattoo Artist, Permanent Makeup Artist, Esthetician, or Cosmetologist. This is an entry level course designed for all beauty professionals skill levels. *Numbers are based on national average and will vary depending on location, clientele size, marketing, etc. Click REGISTER HERE below and fill out the Information Form to complete your registration and submit your deposit. 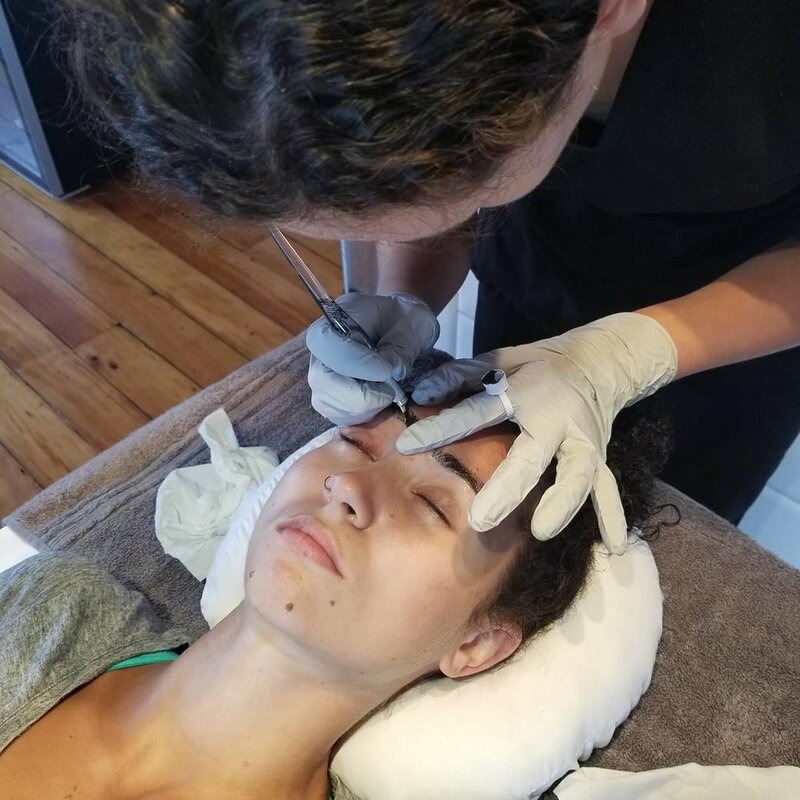 State Regulation may vary in regards to permanent/semi-permanent makeup. 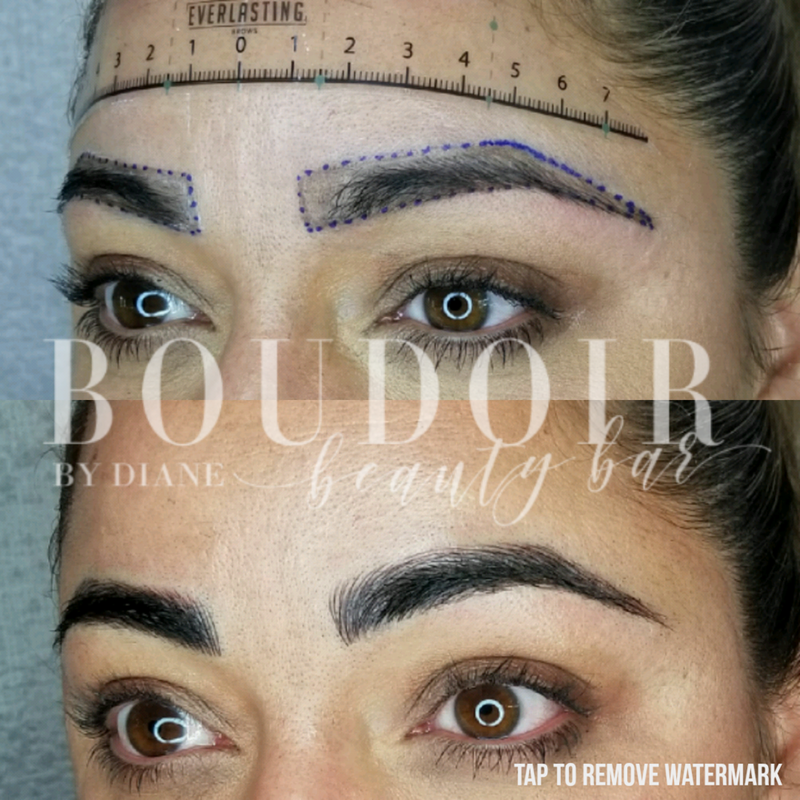 It is the students responsibility to understand and confirm the your state's licensing requirements to offer the service of Microblading, which falls under Body Art and Tattoo. We ask that students provide their own models. We will assist to the best of our ability but can not guarantee we will be able to secure models for you. If traveling from far, you will be assisted with models if given advanced notice. Models must come alone! Anyone else will be asked to leave. This is a testing day! Please note: There are no refunds or makeup days for this class. If any student does not meet satisfactory requirements, a certification at the end of class will not be granted. Student must then complete 2 models on their own and submit pictures to the instructor within 60 days to complete certification. Instructor reserves the right to deny certification to any student that does not meet class requirements. 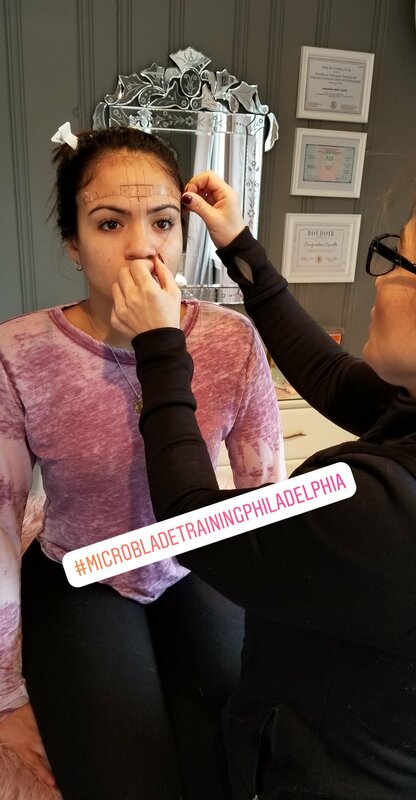 Prior to starting the Microblading Training Philadelphia course, we recommend completing the 3 hour online Body Art Bloodborne Pathogens Training Courses. This course is required before you can begin working as a Microblading Technician. Click here for the BloodBorne Course website. A $1,000 Non-refundable & Transferable Deposit is required to reserve your spot in the class. Remaining Balance must be paid 15 days prior to the start of class. Failure to pay remaining balance by the due date will result in loss of deposit and seat in class. Your Starter Kit will include everything you need to start working immediately. This Microblading Essentials Training kit contains all the basics any beginner will need to learn the art of Microblading and to start their practice able to service up to 25 clients or more. **On Day 3 please come prepared with your own tweezers, small scissors & brow pencil sharpener.